OK, this is just a bit of trivium for you writing geeks. 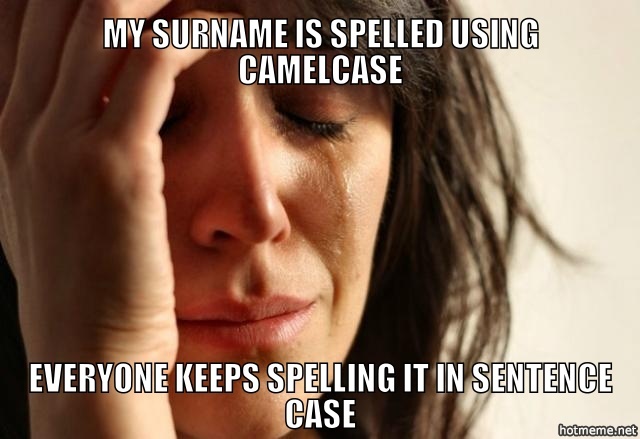 But lately around the office, the term ‘Camel Case’ has been used for how we are going to write the name of a variable in our programming. Camel what?!? OK, so I finally figured it out. Here’s my overview of cases. Did I miss any? One of my programmer buddies informed me about the history of this, and that programmers have done it for some time. Again, it has to do with variable names.